Stay tuned for the December post, which will be up in the next week or so. MIDI integration is notoriously lacking in Ableton Live. For example, you can’t store SysEx data at the start of a song (i.e. to store a patch dump), you can’t automate CCs in the Arrangement view, etc. Couple this with some of the other caveats of dealing with hardware (latency, MIDI timing errors, drop-outs) and it can make for a very frustrating experience. But we love Ableton Live and want to get the most out of it, so in this post I will explore some options to tighten up timing, automate your external hardware seamlessly from the Arrangement view and generally have a much more enjoyable experience when working with MIDI devices. The first thing you should do if you haven’t already is set your Driver Error Compensation. Contrary to some other articles on the internet this is not simply a matter of entering a negative value to reduce your Overall Latency to 0ms! Rather, what you are trying to do is tell Live how “truthful” your audio interface is being about latency. Doing so will allow Live to automatically compensate for delay more accurately (more on this later). Note that you should repeat the above steps whenever you change your audio interface or Buffer Size. Firstly, they will account for latency. If you’ve properly set your Driver Error Compensation per the above you should have almost no latency relative to your soft-synths and audio tracks. Basically, what Live is doing is delaying everything else to give your synths time to catch up. Unfortunately, what these Live devices don’t provide is a way to automate CCs from within the Arrangement view. There are three possible approaches to this, described below. This is the “default” way of working with CCs in Live. Unfortunately, you can’t “see” clip envelopes on the Arrangement view nor can you name the CCs. Where are you going with this… ? There are several VSTs out there that allow you to control specific hardware devices (both my DSI Tetra and Little Phatty have VSTs, for example). These work by taking control of your MIDI I/O on behalf of your DAW. So when Live sends a “note on” to the plugin, the plugin will the relay this to the hardware. And vice versa. The main caveat with these plugins is that, because they take control of MIDI I/O, you can no longer use Live’s External Instrument device. There is a workaround involving loopbacks/virtual MIDI ports, but a far simpler workaround is to simply use Live’s External Audio Effect and only choose an input channel. This will force Live to perform real-time rendering, however, it will no longer automatically compensate for latency so you will need to apply a negative track delay on your MIDI track (see “Tighten Up” below). Note that if a VST doesn’t exist for your hardware there is an open-ended plugin called CTRLR that’s worth checking. 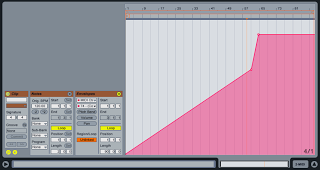 Look at the waveform produced by the synth: does it line up with the 1, 2, 3 & 4 beat markers? In my case it didn’t. Re-bounce the audio and everything should line up now. Perfect timing! On June 21st, World Music day, we are glad to offer you a commemorative version of the Minimoog V called Minimoog V original. Functions behind the front panel are not available but all sounds and features from the Minimoog V2.5 (a $229/219Eur product) are included. Just like the original Minimoog. options, wavetable synthesis, 4 outputs on the integrated audio interface, etc. importance to me as I would be using it primarily for live performance. Though only thing I’m unsure about is how I feel about using endless rotaries for live tweaking. Will have to give it a try. I was recently in the market for a new synth, primarily for live use. 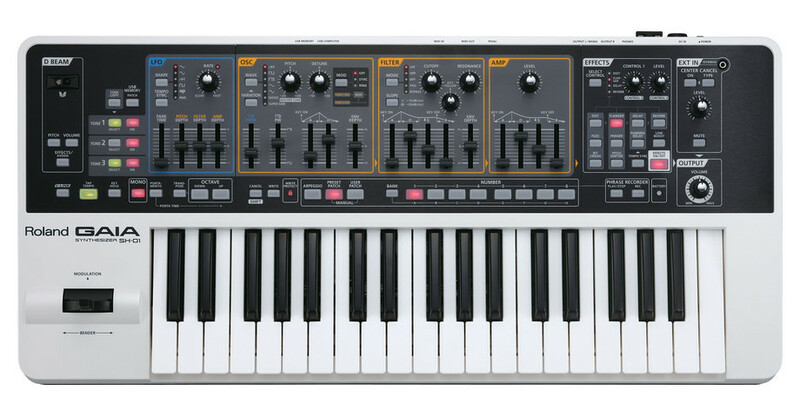 At first I was considering the Roland GAIA SH-01 because of it’s price point, tweakability and features (decent on-board FX, tap tempo delay, 3 filters, etc.). 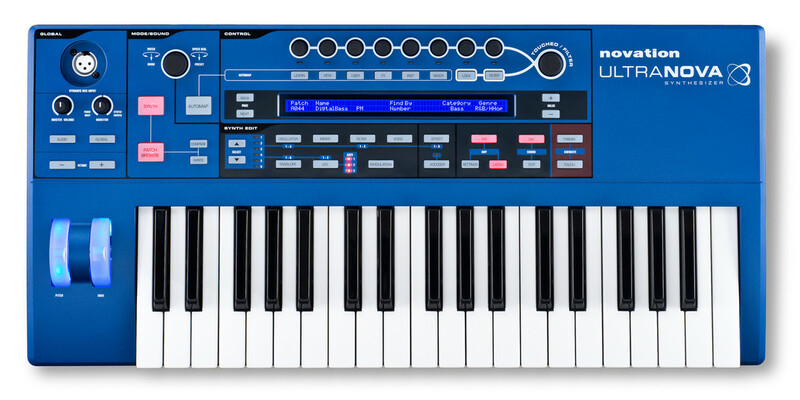 But then I got to thinking… I already own a decent digital synth (Novation X-Station), I use a laptop as part of my live setup and have access to all sorts of digital VSTs, etc. I decided it was time to go in a completely different direction. Time to go back to the basics. ANALOG. Stability/reliability: older synths aren’t necessarily reliable, may not have automatic stabilization of the oscillators, etc. I then switched my focus to new gear. One of the obvious benefits of new analog synths is that they have modern conveniences like MIDI, patch memory, etc. Not absolute must-haves for me but definitely nice-to-haves. Pros: patch memory, keyboard, Moog sound! I can use an external noise source (Moogerfooger CP-251, my X-Station, etc.) and route it through the external input. The 4 knobs can be remapped to anything, internal or external. So between these, the mod wheel, and the filter CV input (i.e. for expression pedal), that should be plenty of real-time control. Further, all of the parameters on the synth respond to MIDI so they can easily be tweaked from a controller. Although the Moog does page the controls, like the MoPho, it has LEDs around the knobs which is great for recalling presets. And with the “latch” mode there are no concerns about parameters suddenly jumping to a new value. Very cool. The last time I owned an analog synth was when I as a teenager. It was my first synth actually, an Akai AX-60. Lots of fun, although not quite as punchy or warm as other vintage analogs. I’m stoked to own a new one, and a Moog no less! spaced and quite tweakable, etc. No real gripes in this department. the on-board distortion and fuzz effects though. Everything I tried to do was dead simple, which I think is what Roland was going for. There is no menu diving needed to do anything. some of the FX parameters, etc. Once you know how to use it you’re set though. a great (cheap) alternative to more expensive VAs. So I took my Novation X-Station with me to Ottawa for a gig last month. I traveled by plane, which is always a risk for gear, but I had it in a crush-proof, air-tight and well-padded Pelican case which I bought specifically for flying with. Nevertheless, upon returning I noticed that a few of my keys weren’t working. With three shows on the very immediate horizon I was freaking out a bit. The X-Station is a key part of everything I do: I use it as both an audio interface and controller when using software live. I also use the synthesis engine a lot for live hands-on tweaky goodness. Luckily, it was just a few keys in the higher registers that were broken, everything else was fine (audio interface, knobs, etc.). I can easily compensate for this, I thought to myself. WRONG! The first show went fine, but at the second show, on stage, as I went to play a note in a synth riff… silence! Ack! More keys ceasing to work on a daily basis. I dub this disease keyboard cancer! The third show is this Thursday – it’s a live Ableton thing. I had all sorts of keys pre-mapped to trigger clips, but I’ve since had to re-map them to compensate for the broken keys. Now I need to borrow an Oxygen8 from a friend just in case the cancer keeps spreading! 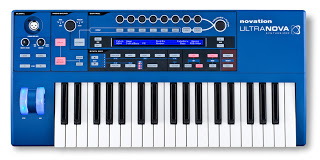 On the bright side, I’ve rented a Roland Juno G to play around with while I get the X-Station fixed. I may do up a little review at some point. Side note: I hope to God Porter airline’s insurance policy will cover this! You’re supposed to make any claims within a few hours of landing, but under the circumstances that wasn’t exactly possible! We apologize if you discovered that your keyboard sustained some damage to the internal circuitry. Unfortunately, as per our baggage liability clause, which can be found at www.flyporter.com, Porter Airlines Inc. assumes no liability for items such as, but not limited to, money, jewelry, silverware, negotiable papers, securities or other valuables, business documents, samples, keys, liquids, food and other perishables, computers, prescription drugs, photographic equipment, video equipment, cellular telephones, cameras, other electronic devices, artistic items, glass, musical instruments, equipment, sporting goods and any other fragile or perishable item. Therefore, we are unable to process an insurance claim. However, we would recommend you contact your own insurance company, to determine if your insurance policy can help in replacing the keyboard.